Our in-demand, versatile uPVC tilt and turn windows by leading manufacturers REHAU and Liniar will provide you with incredible designs at a great value. 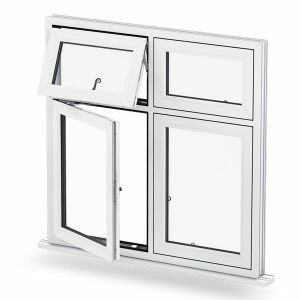 These uPVC windows can be operated to tilt inwards for safe and easy ventilation, as well as effective cleaning. You’ll receive everything you would expect from a leading manufacturer with our classic uPVC windows. All of our tilt and turn windows are available in a range of popular colours and woodgrain finishes. We promise quick, straightforward installations into your home. 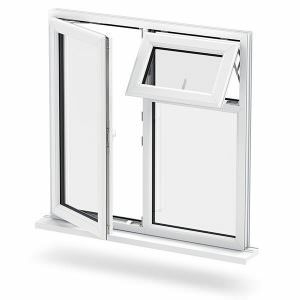 To get a free, instant and competitive uPVC tilt and turn window price, get in touch with us via our online contact form. A member of our friendly team will be on hand to help. 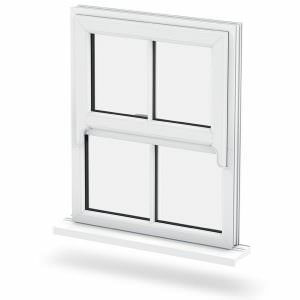 Our Liniar uPVC tilt and turn windows are available in a chamfered and sculptured white finish, ideal for use both in your homes and retail properties. 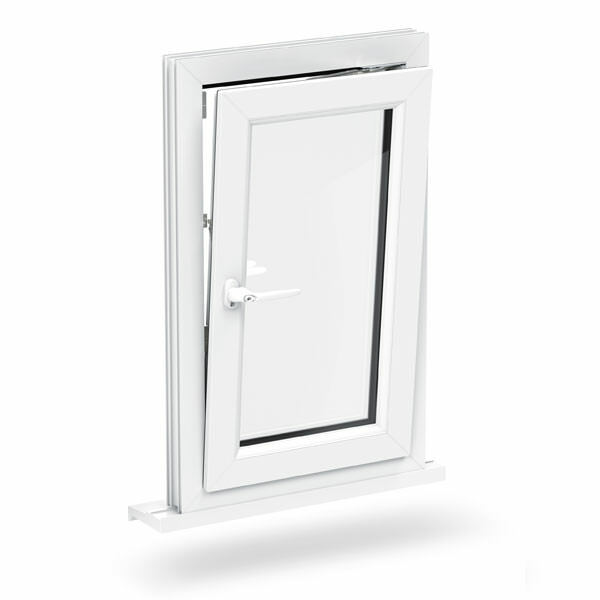 uPVC tilt and turn windows are perfect for opening up an outside view or providing secure and safe ventilation. Benefit from concealed gearing when choosing our uPVC windows. This means that these modern-looking aesthetic windows are more secure and effective than previous outdated face-fix gearing, guaranteeing high performance that lasts. 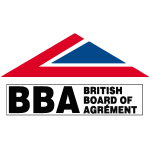 You can benefit from exceptional thermal efficiency, achieving an ‘A+’ rating on the WER (weather energy ratings) scale. 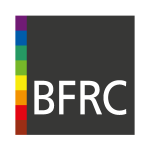 Making this the ideal choice for replacement and new build applications, both in a domestic and retail perspective. With Liniar uPVC tilt and turn windows, our fully integrated hardware provides clean straight lines with crisp and concise detailing. Adding a classic, contemporary feel to your home. Our ‘FerGUard silver’ surface coating on the Liniar uPVC tilt and turn windows ensure long-term corrosion protection, at no extra cost. 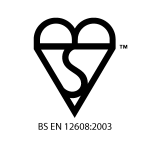 A continuous rebate gasket prevents any possibilities of condensation, whilst providing enhanced sound-proofing properties. Ensuring any noise pollution is kept to a minimum. uPVC tilt and turn windows are available in a variety of colours and woodgrain options. Our range of locking handles are accessible to you in ‘White’, ‘Gold’ and ‘Chrome’. This means our windows will fit seamlessly within the style of your home. 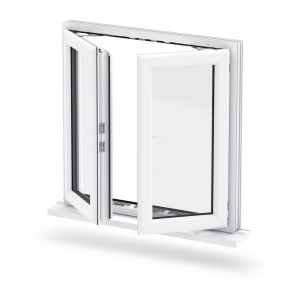 Our REHAU uPVC tilt and turn windows provide superb looks to a wide range of buildings. Offering a simple, contemporary and stylish solution to suit all modern properties, together with its multitude of benefits. The flexibility of this option does not compromise on quality or design. 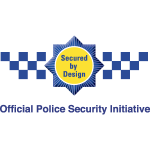 Comprising of a robust uPVC profile and highly secure, multi-point locking mechanisms, our uPVC tilt and turn windows achieve outstanding levels of home security. They are also internally glazed tilt and turn windows will ensure your home with a higher level of security, deterring any would-be intruders. REHAU tilt and turn windows have the highest possible energy rating, achieving an ‘A+’ on the Windows Energy Ratings scale. With such high levels of efficiency, you can benefit from the best thermal performance that lowers the cost of your heating. There is a choice of profile designs to suit your individual installation requirements. This ensures that your uPVC windows are both attractive and functional within your home. Offering simple and versatile designs, with the option of the window tilting inwards, or fully opening outwards at a 90° turn. These windows allowing for easier exterior access, to assist with a quicker clean. As with all REHAU products, our tilt and turn windows are available in a wide choice of colours and finishes to suit the design of you home. We have a wide range of high-performance hinges and locking systems to accommodate your requirements.